The time is the nearish future. The place is a school; a school where, by orders of DeVos, the books have probably been replaced by "paintings of White Jesus and pictures from her mission trip." A starry-eyed student stands before her class and tells the tale of a once-great global network in the days before its treasures were open only to the rich. 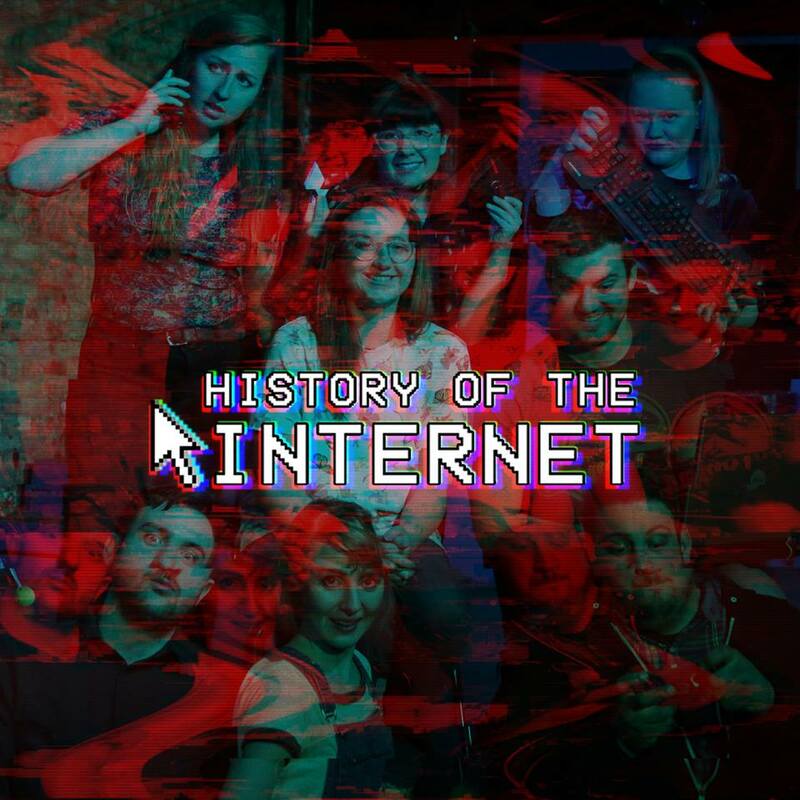 This is the History of the Internet. My friend Michelle Leatherby has written and directed a truly funny and at times downright terrifying comedy vignette play for Corn Productions in Chicago, and I highly recommend checking it out. Her distinct voice shines throughout, and the ensemble sells the thing from start to finish with energy and innovation. And hey, that's just from watching a couple of rehearsals; I can't imagine how killer opening night's gonna be. Unfortunately I won't be around for opening, since I'm currently stopped in KC on my way to Colorado. But a little piece of me will be there in the form of a sound design I created (with help and input from Michelle) for the piece. The episodic nature and tech-driven subject matter made for a hearty cue load, which was an enjoyable challenge. I was also hit with waves of dizzying nostalgia as I scrounged around for lost gems like dial-up noise and AIM chat sounds. I might have even composed and recorded an intentionally cringy sitcom theme. If that doesn't get you in the door, then frankly, I don't think you even know how doors work.